We work in Rochester, Rochester Hills, Shelby TWP, Troy, Oakland County, Sterling Heights, Romeo, Macomb, Washington TWP, and many other areas of Michigan. 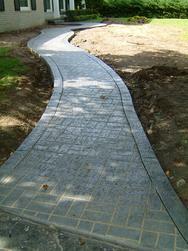 We specialize in new and repair work, including, but not limited to, driveways, patios, and walkways. 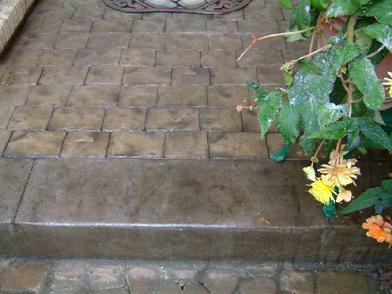 We excel in decorative as well as regular concrete and will work with you to get just the look you need to compliment and enhance your home or business. 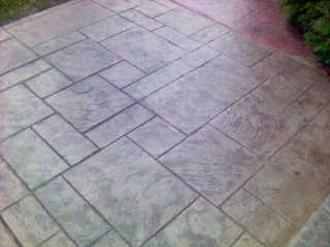 In addition to flatwork we are also available for cleaning and sealing services. At Don Mertke's Cement Work we are proud to give good old fashioned service with a smile, at your home, on the day and time we say we will be there. 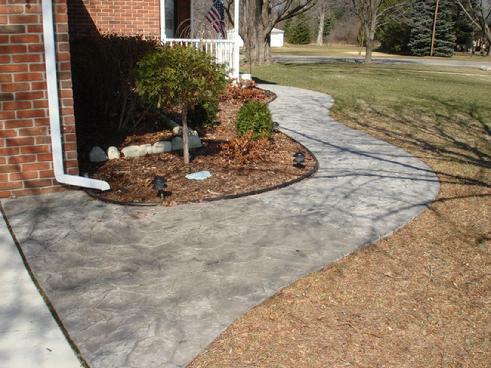 I have been in the concrete business since 1976, providing all types of concrete work, regular and decorative concrete of all types, to homeowners and businesses. We have always taken pride in doing work that both the customer and I can be proud of. We provide a warranty with every job we do. If quality work and good service are important to you let us know. We back our work with my 40 years of experience. <?xml:namespace prefix = o ns = "urn:schemas-microsoft-com:office:office" /> My wife and I want to let you know how pleased we are with the quality of your stamped concrete work. We always wanted to have a patio where we could entertain our friends and family; especially one with a touch of class. After the completion of our stamped concrete walks and patio, we can truly say that your company exceeded our expectations. We have received nothing but compliments from friends and family. From the stamped concrete ribbons along our driveway and the curved walkway to our porch, to the winding walkway along the side of our house that leads to our fabulous stamped concrete patio, your product reveals nothing but excellence. We have recommended your company to others because of our satisfaction with your product and the way you conducted your business with us and your team. Please take a moment and thank your team for the fantastic job they did!